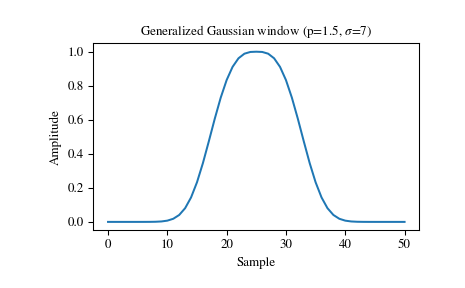 Return a window with a generalized Gaussian shape. Shape parameter. p = 1 is identical to gaussian, p = 0.5 is the same shape as the Laplace distribution. >>> plt.title(r"Freq. resp. 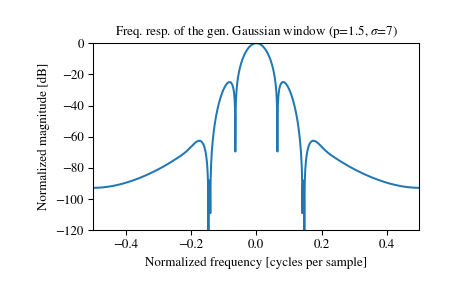 of the gen. Gaussian "